In the last year or so, The Claus Team has helped hundreds of customers, closed over 100 units, and received countless honors for the hard work and valiant efforts of our team. It has been a successful time to say the least. 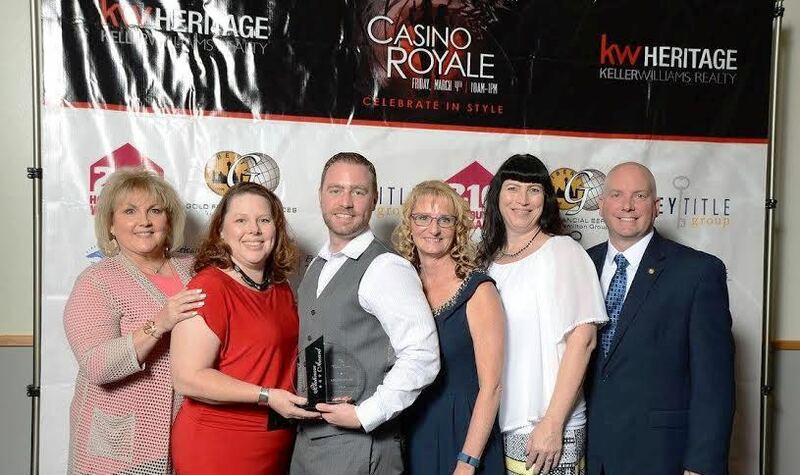 The Platinum award – Many of you might not know this, but The Claus Team is a part of Keller Williams Heritage, a larger brokerage group that includes a number of real estate teams throughout San Antonio and the surrounding areas. Well, at the annual awards ceremony for all Heritage agents earlier this month, The Claus Team was honored with the prestigious “Platinum” award. This is only one step down from the highest award offered by the brokerage, so needless to say, our agents were pretty floored. Our team worked hard to see success in 2015, and we were so excited to see that hard work recognized by the Heritage firm and our peers. It was quite the honor. San Antonio Business Journal’s Top 25 List – In mid-2015, we were lucky enough to make the San Antonio Business Journal’s annual list of Top 25 Residential Real Estate Teams. In fact, we were actually named No. 14 on the list – above some of the city’s absolute best and brightest agents in the business. Even better? Many of our fellow Keller Williams teams in and around San Antonio also made the Journal’s cut, so it was a proud day to be a Keller Williams agent for sure! The 2016 top 25 list should be released in the next month or so, as well as the top 25 list for individual San Antonio agents, so be sure to stay tuned to BizJournals.com/SanAntonio to see if we make the cut again (or better yet, beat our spot from last year). Fingers crossed! 2015 records – The biggest accomplishment in the last year? That’d be our record-setting production numbers. Thanks to the hard work and amazing efforts of our Claus team agents, in 2015 we were able to hit our highest sales numbers ever. That’s right; we handled more transactions than in any other year in our 23-year history in the real estate industry! Our team sold a total of just over 130 units, with many of those in Schertz and Cibolo – our agents’ specialty areas. The average sales price was a whopping $220,000, and our listing price to sales price ratio was an amazing 99 percent, meaning our agents were spot on with pricing properties. You can’t get much better than that! To check out more interesting stats and data from the last year’s sales, see our recent blog post, “2015 Real Estate Round-up: Sales in Schertz, Garden Ridge, Cibolo TX and More.” There, we break down all The Claus Team’s numbers from 2015 and more. Here at The Claus Team, we are proud, amazed, shocked, floored – you name it – about our 2015 results. But as excited as we are, we’re not going to get complacent about anything. We want to beat those numbers again … and again … and again. We want record-setting production results every year – for our team, for Keller Williams Heritage and for our wonderful customers in the San Antonio, Schertz, Cibolo, Universal City, Garden Ridge and all the surrounding areas. We can only hope 2016 is as good to The Claus Team and its client as 2015 was. If it is, we are all in for quite a year ahead. Do you want a real estate team that’s known for its local experience? How about one that’s been honored time and time again for its service and expertise? Or one that’s staffed with absolute experts in the city and all it has to offer? Then The Claus Team is your answer. Our award-winning agents know San Antonio like the back of their hands, and they can help you find the perfect property for your unique budget, needs and personal preferences. Call us to get started on your home search today, and we’ll send you your very own personalized property list right away. We can’t wait to help you on your home buying journey.